How's this for a fun literary fund-raiser? A golf tournament. And how's this to add to the challenge? Players are limited to using one club only over the course of nine holes. That's right. One club. And it's up to the player to pick. A putter? Great on the green but what'll it take to get to the green? Or a wood? Good at getting the ball off the tee but good luck getting the ball into the hole. Or through or over the trees. In which case, bet players wish they'd decided on an iron. Because this is the Overton Park Golf Course, and trees can be a hazard, probably will be a hazard on Saturday, September 29th. 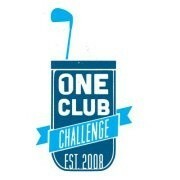 That's when the One Club Challenge takes place to benefit Literacy Mid-South. She teaches now at Purdue University. But she once taught at the University of Memphis. And she's returning to the University of Memphis. 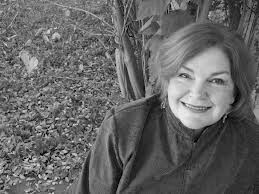 She's attorney turned award-winning poet Mary Leader, and she's inaugurating this fall's River City Writers Series, which kicks off tonight, September 25th, with a reading and booksigning in the University Center River Room at 8 p.m. Tomorrow, students will interview Leader in Patterson Hall, Room 456, at 10:30 a.m. Both events are free and open to the public. For more information, email creativewriting@memphis.edu or holladay@memphis.edu or call 678-2651.
Who Is Carolyn Parker? Ask Daniel Wolff. "Jonathan is a neighbor and friend of mine in this quiet little town on the Hudson. Our kids grew up together. 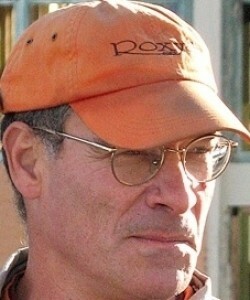 We go our separate ways in terms of work, but we did do a documentary together called The Agronomist, about Jean Dominique, the human-rights activist assassinated in Haiti in 2000. That documentary took about five years to do. But Jonathan ... he's the movie guy. I'm the book guy." That's Daniel Wolff (pictured) speaking by phone from his home in Nyack, New York. "Jonathan" is Jonathan Demme, the film director. And it's taken another five years for Wolff and Demme to put together their new documentary, I'm Carolyn Parker: The Good, the Mad, and the Beautiful, which aired this week on the PBS series POV (and airs locally on WKNO2 tonight, Sunday, September 23rd, at 9 p.m.). "I'm booked for months. It's exciting," author Kristen Iversen reported in a recent email. "I've been on NPR's Fresh Air and C-Span, and I've done interviews all over the country. Lots of radio. In recent weeks, I've done readings in Albuquerque, Santa Fe, Seattle, Portland, Denver, Boulder, Los Alamos, and San Francisco. And I just returned from Richmond, where I gave a talk to the incoming freshman class for Virginia Commonwealth University's 2012-2013 Reading Program (5,000 people had read the book!)."